Under the Resources tab you can easily find information on investment, insurance, tax and estate planning. These are the core areas of a comprehensive financial plan. Check back daily for the latest market data, news and commentary. You can even check the investments in your Cetera brokerage account by using the link provided on the upper right hand corner. As a college senior, I began my career interning for Prudential Financial in Olympia. In 2000, after graduating with a BA in Finance and Administrative Management from Saint Martin's University, I worked as a Financial Planner with Metlife Securities. 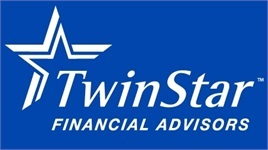 In 2005 I joined the TwinStar Financial Advisors team. I am committed to serving as a local source of sound financial information and will be happy to meet at the branch convenient for you. Please feel free to let me know if there is additional information I can provide that is of interest to you.